AR Studios is located in a quiet, relaxed neighborhood 30 minutes north of Rio de Janeiro, Brazil—just one block away from one of the most exotic beaches in the world and just 40 minutes away from the nearest airport. 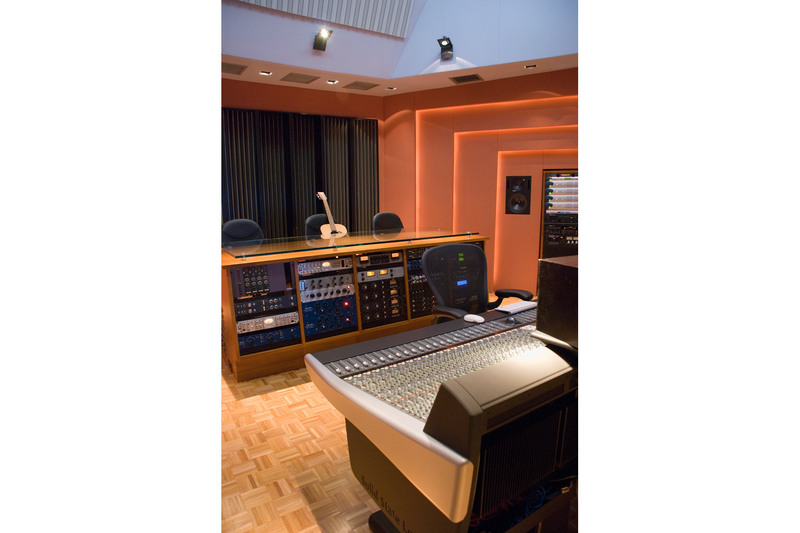 The studio was completed in 1996 and marked an important milestone for WSDG—the opening of its Brazil office, which was to be spearheaded by a former student of John Storyk, Renato Cipriano. 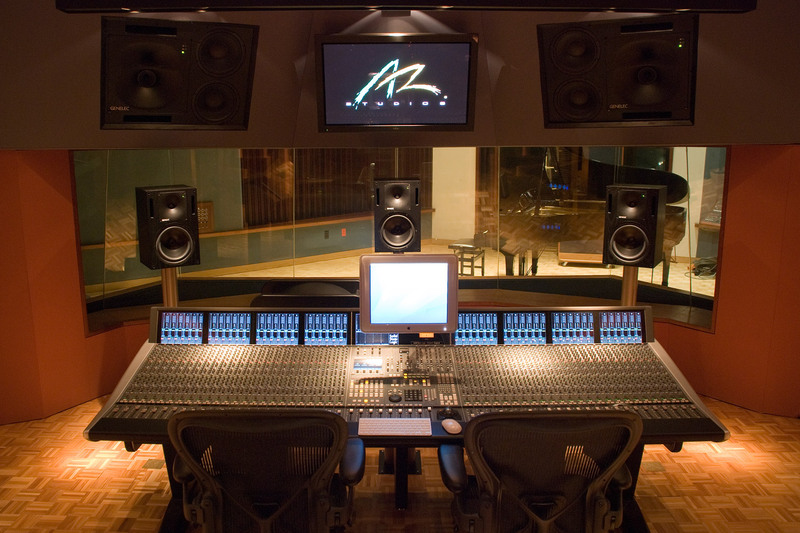 AR Studios was the brainchild of Andre Rafael and Tommy Capone, partners with a passion in music. Their ambition was to build the best rock ‘n’ roll tracking facility in Rio—the studio would be very focused on the idea of a group settling in and doing an album. Rafael is a Brazilian producer who has worked with most of the top musicians in the country, and has worked directly on eight Grammy® nominated albums. The late Capone, also a Grammy nominated producer, was a very gifted producer/engineer with an impressive track record—he had also established some success as guitarist in the band Peter Perfeito during the 1980s. The building they bought was located on an exceptional lot with immediate proximity to the beach. It’s a slab on grade concrete building that had plenty of parking: an often overlooked but important requirement in just about any a commercial facility. The structure would have to be more or less demolished to accommodate the ambitious design program that was planned, though they were able to keep two walls on the façade. 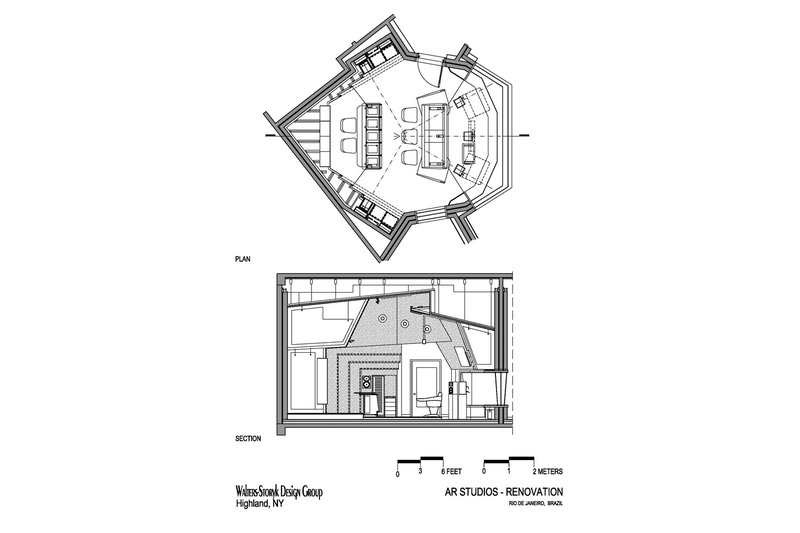 Upon entering the first floor of AR, there is a small reception area, a conference room, some offices and adjacent bathrooms. A short walk through a back patio area leads to a cozy outdoor café with rehearsal area just inside. In Brazil, where the climate is agreeable year-round, these kind of outdoor ‘pass-throughs’ are very common and allow a natural flow between buildings and indoor/outdoor structures. A stair off the patio leads to the main studio up on the second floor and just off the patio there is a nice little garden outside which clients can enjoy. When you enter on the second floor, the first thing you see is a sound lock, which can double as an isolation booth or a small machine closet. 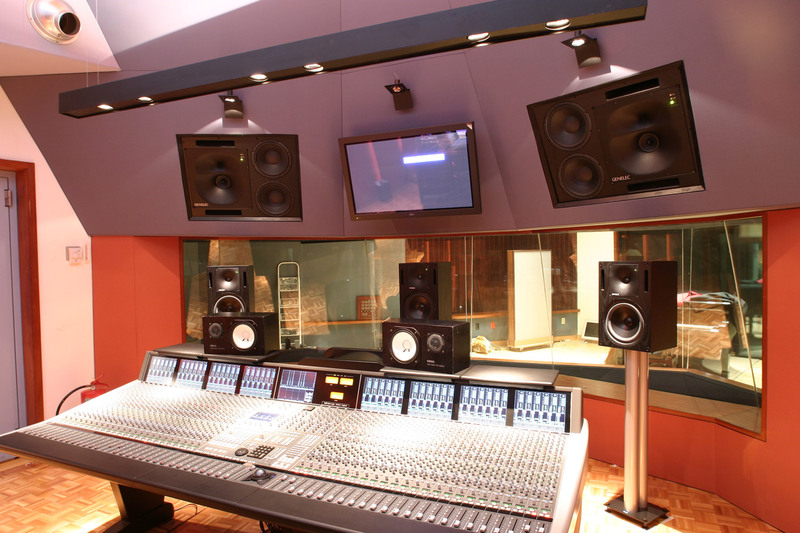 The control room is off to the right and then there is a 400 square foot live room to the left, which is mainly used for the purposes of tracking drums. 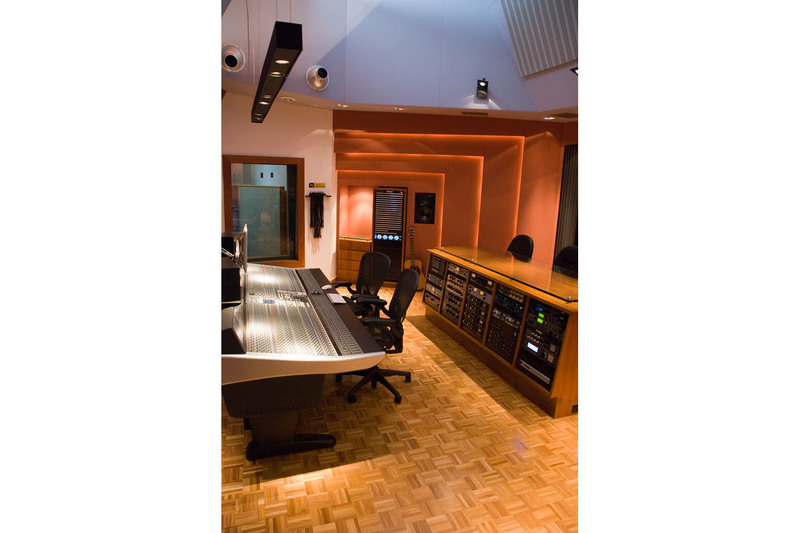 Two isolation booths are adjacent to the live room: one larger one with pocket sliders just off the control room, and a smaller one opposite the control room, which is perfect for a guitar amplifier or Leslie cabinet. 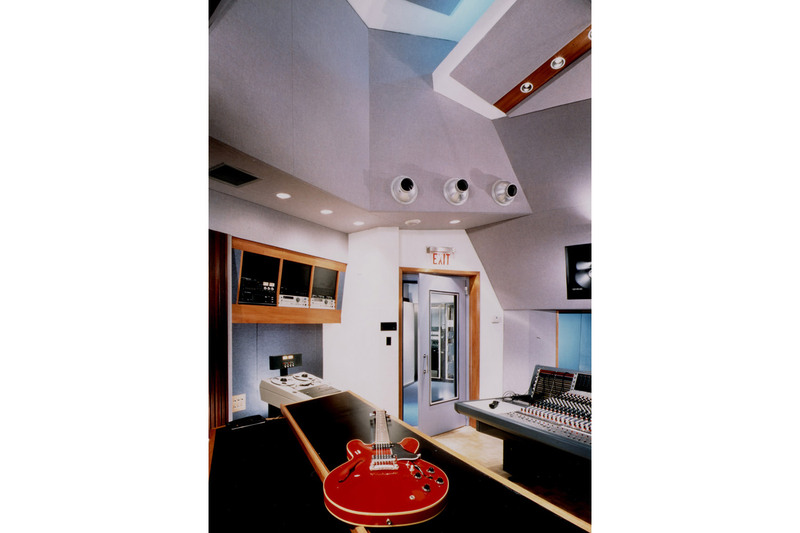 The ceiling in the live room was a kind of architectural vision, utilizing interesting yet functional shapes. 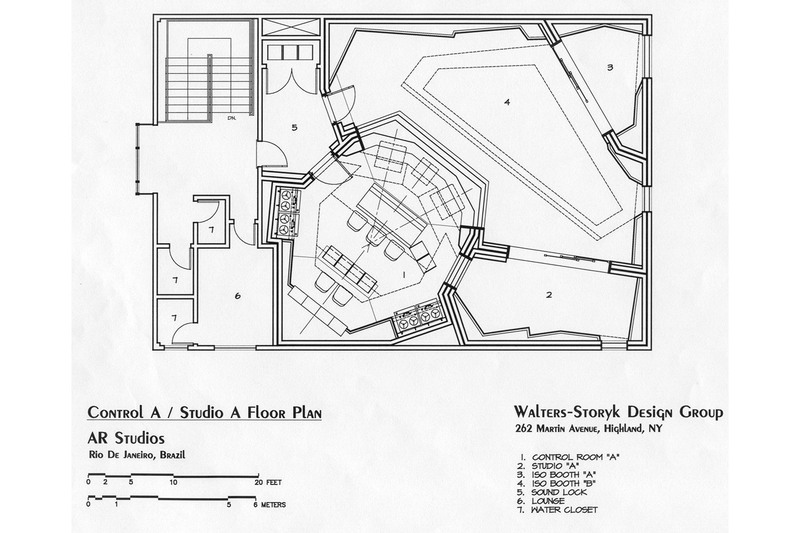 The shape for the live room had been established after the control room was placed on the plan–the cloud actually ended up mimicking the shape of the control room. 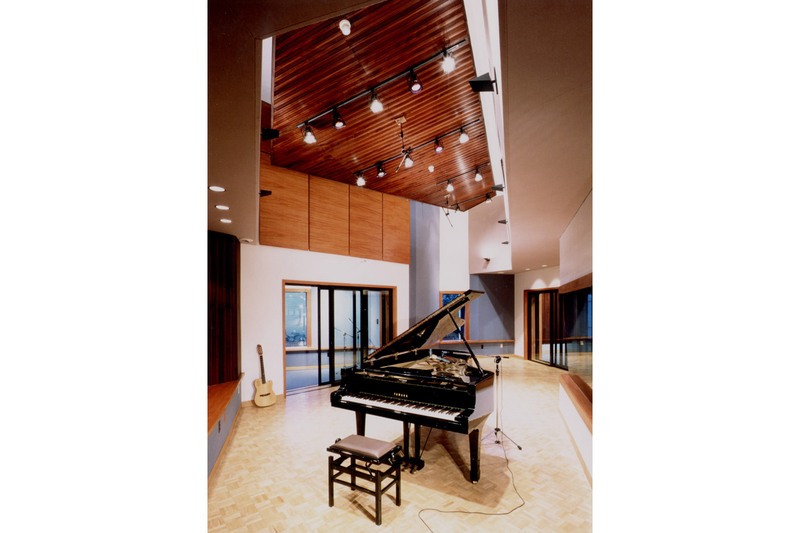 Rafael and Capone specified wood floors for the live room, which is more or less the expectation in piano or drum oriented tracking rooms. In AR Studios’ live room, there are mostly reflective surfaces and very few absorptive ones. In many circumstances, this would present acoustic problems in the low frequencies. However, through the use of complex geometry and selective diffusion, WSDG was able to achieve a very even frequency distribution. 99% of the wood used in the live room was of the local Brazilian variety, which happens to be both very porous and aesthetically attractive. John Storyk makes it a practice to take advantage of high quality local materials, natural or otherwise, no matter where he is working in the world.